One Fat Frog just got in a new oven that we are excited about and we’re sure you will be excited as well. It’s a Renato AR600S brick oven. This is a wood burning, gas assisted oven and it is perfect for a restaurant or for your summer kitchen at home. This is a display oven meant to be the centerpiece for the awesome backyard parties, although restaurants that cook a lot of pizza or flatbread use these as well. For those not in the know, Renato is one of the biggest names in brick ovens and this model is one of their best. You’ve probably seen Guy Fieri using it on many occasions. This large oven is 68” x 79” on the outside and is 36” high. This is one heavy duty oven as well, literally. This baby is 6,500 pounds of wood-cooking muscle. The oven boasts a solid steel frame and has digital temperature controls for the gas assist. What makes this oven so great is that you get both the great flavor of a wood burning oven while still getting the increased efficiency of gas ovens. We can do financing for this oven both for commercial restaurant use and for home personal use, if you want it for your backyard summer kitchen. And if you do want it for your summer kitchen, can I come over for the pool party? (I’m assuming you also have a huge lagoon pool with waterfalls and stuff, because that’s the kind of thing that goes along with an awesome summer kitchen). 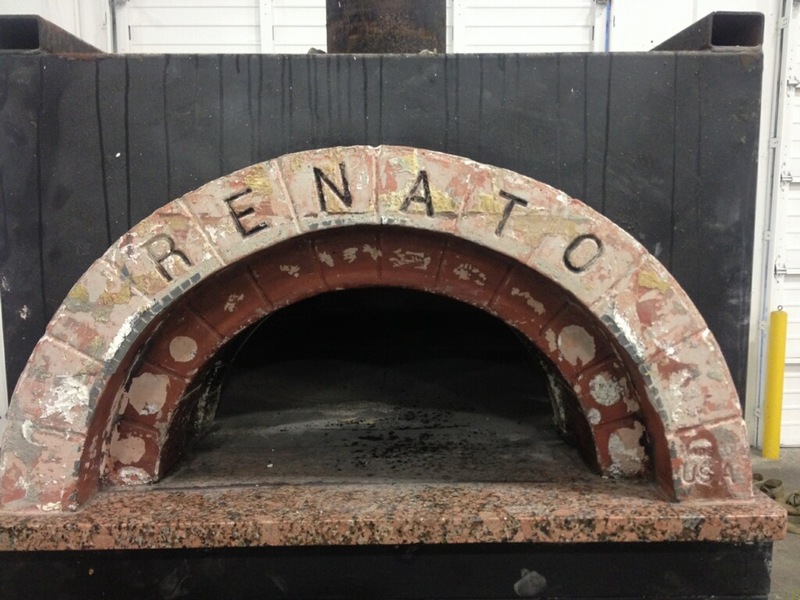 If you’re interested in this Renato AR600S brick oven, call One Fat Frog at 407-480-3409.